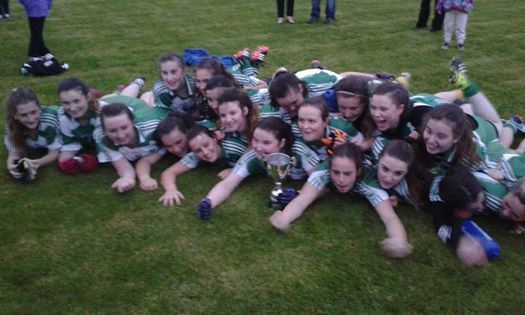 Pride of place this week goes to a young Aodh Ruadh under 16 ladies side who won claimed the Donegal under 16 C championship title with victory Kilcar on a scoreline of 3-15 to 0-5 on Friday evening. It was a very poor day for football, with wind and rain battering Mountcharles, but that didn't diminish Aodh Ruadh's appetite for the game and they got off to a magnificent start, dominating up front and pushing out into a lead which Kilcar could never reel in. The Ballyshannon girls led by 1-8 to 0-2 at half time and looked set fair for the honours. They had to count on an excellent second half defensive performance though to shut out Kilcar as they tried to claw their way back into the game. With Aodh Ruadh taking all their chances they ran out deserved 19 point winners. Mary Flora Scott and Shelly Loughlin orchestrated the attack well up front while Lorna Matthews and Orla Gillespie denied Kilcar any traction in the defence. Dearbhaile O'Moore and Meabh Rooney both excelled in midfield too. Congratulations to Teddy Kane, Terence McShea, Tara Khan, Elaine Dorrian and Sarah Patton on steering the side to championship success. 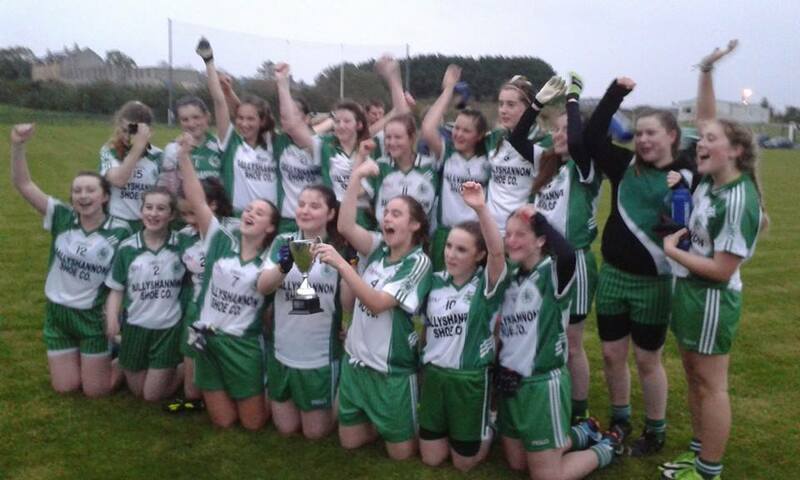 The side who brought much-needed silverware back to Aodh Ruadh were as below. Catherine McClay; Bronagh Kelly, Lorna Matthews, Ríonach Sheerin; Louise Mahon, Orla Gillespie, Lauren Moore; Dearbhaile O'Moore, Meabh Rooney; Rebecca Gillespie, Mary Flora Scott, Aimee McCaffrey; Roisín Gallagher, Shelly Loughlin, Roisín Meehan.